Bring Your Game to Cabo! Los Cabos is the center of all that is popular for golfers in Mexico. We will enjoy this beautiful destination from the luxury accommodations, beaches, oceanside golf courses, hand-rolled cigars, and of course tequila! The 2019 Cabo Open Golf Tournament is about to go down!! This exciting event will take place at the highly regarded and awarded Pueblo Bonito Pacifica. 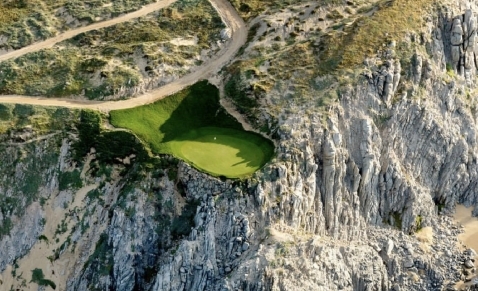 We know many of you have desired to play two of these Jack Nicklaus Designed courses in Cabo. Many have desired to play and enjoyed these courses while others have waited for the right opportunity to get here and experience what others have been bragging about! Well, here is YOUR CHANCE!!! This will be a competitive flighted tournament that golfers from around the US, Canada, Mexico, Caribbean and beyond will come and compete for the Cabo Open. Hosted at the Luxurious Pueblo Bonito Pacifica Los Cabos Golf Resort, this event will be hosted on three of the top golf courses in Cabo. The excitement around this annual event is exactly what the destination has been waiting for. So, this Tournament will allow the golfers to enjoy the courses with their club members, close friends, or bring the spouse so you all can enjoy Los Cabos and the Oceanside Courses together. Know that if you want to bring the crew, the boo, or the family, they are more than welcome to join in the sunshine and white sand beach fun! This is truly a very exclusive golf opportunity in Cabo San Lucas. Our goal is to create an atmosphere for golfers and their friends and family to gather for a four or five-day experience in Cabo. Los Cabos Golf Vacations is Numero Uno!! when it comes to creating the most memorable golf vacations in Los Cabos. Our hand-picked collection of resorts, villas, golf courses, experiences, and service providers separates us from the rest. When booking with our team of golf travel experts, clients receive a dedicated golf travel specialist from start to finish who arranges your accommodations, tee times, transportation, tours, and much more. Our goal is to provide you with a golf travel experience that will create memories to last a lifetime.